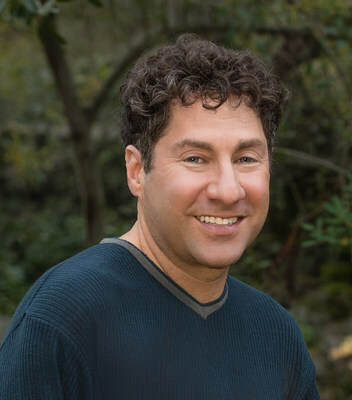 SANTA ROSA, Calif., Dec. 14, 2017 /PRNewswire/ -- "We live in the most beautiful area of the world and I wanted to write a song that demonstrated our gorgeous city and community strength," says David Benjamin Gruenbaum, the composer for I love Santa Rosa. "The holidays will be a difficult time for many families who have lost everything," says Gruenbaum. "I wrote this song to remind everyone of who we are and what we have." This video contains the song, I love Santa Rosa, and a slideshow that demonstrates the beauty of Santa Rosa. I love Santa Rosa was composed and sung by David Benjamin Gruenbaum. Gruenbaum has been a resident of Santa Rosa for thirteen years. Along with his wife, Heather, Gruenbaum owns Ahead Of The Class, a private education company specializing in the SAT and ACT. A YouTube video that features the song and Santa Rosa slideshow has already been a big hit locally. "Many Santa Rosa families have contacted me to let me know how much the song has lifted their spirits. But the response has even more far-reaching: I have even received emails from as far away as Boston and Paris, telling me that they would like to travel to Santa Rosa, 'to paradise'," says Gruenbaum. I love Santa Rosa was produced by Ed Goldfarb, the composer for Pokemon TV shows and movies. "Working with someone as talented and famous as Ed Goldfarb is a dream. Ed made I love Santa Rosa that much better," says Gruenbaum. Gruenbaum will soon be releasing I love Santa Rosa as an online download. "All money that I receive for this song in 2018 will be donated to charity," says Gruenbaum. No one beats the big heart of this little city... "Even before the fires were put out, everyone in the community was helping those in need." Everywhere there's Snoopys, Charlie Browns, and Lucys... "This is Charles Schulz's hometown. 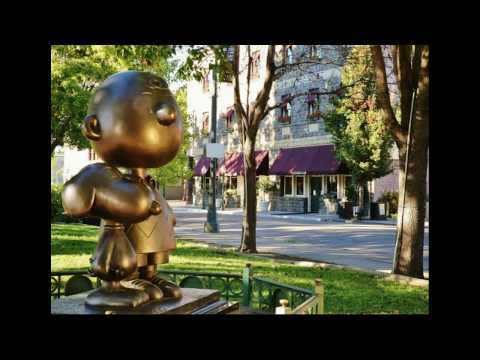 Santa Rosa is filled with dozens of Snoopy statues decorated by local artists. It's a big part of our community."